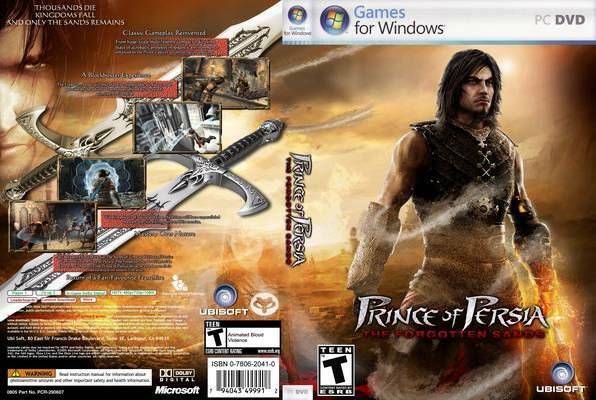 Prince of Persia: The Forgotten Sands- The game. Okay, let's put it straight. 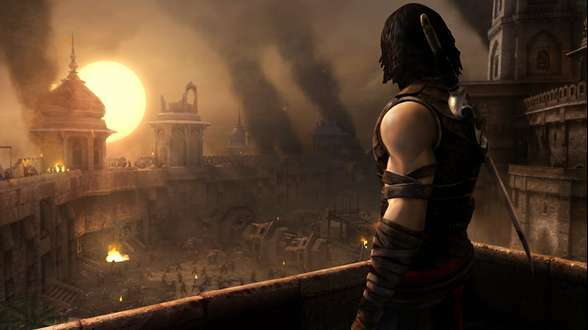 This latest 2010 installment of the Prince of Persia franchise boils down to this one word for the gamers: Nostalgia. If you have played the first three games of the PoP trilogy, you'll know what I am talking about. With the 2008 PoP game just after the trilogy, we had lost many wonderful characteristics of the prince, who himself was traded off for a thief of the deserts. Gamers all over the world were sick of the flirting jerk and wanted the old prince back. And back he is, with all the more manliness and central asian- persian looks. Back is the seriousness and the husky voice. And back are the sand monsters, of course. 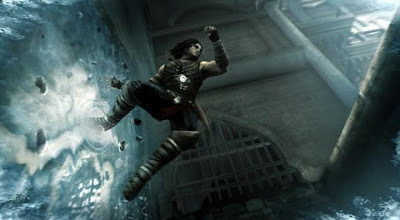 The timeline of the game is in between the first and the second game, and hence people would readily connect with all the time bending powers and the power sword attacks and the XXXL sized boss fights. Have a look at the wet action that I'm talking about. 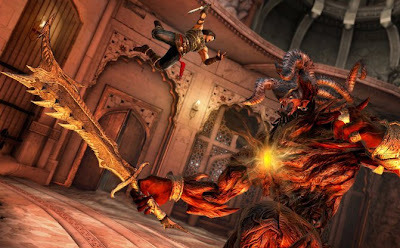 Coming to the fights and the 'boss'-fights, you will surely love the sheer number of sand monsters that come every time. 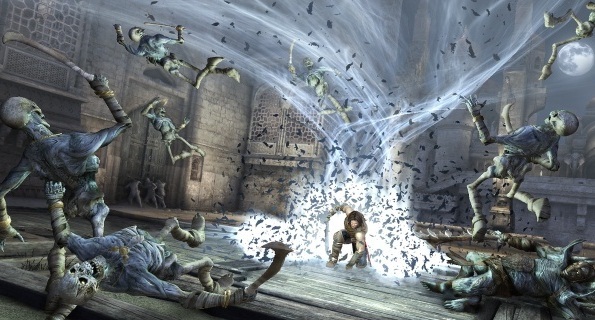 Fighting with at least 20 sand monsters and skeletons gives a kick like never before. Though the combat attacks are very limited, seeing the prince devastating scores of sand monsters at one go needs to be felt to be appreciated. And add to that the ice blasts, the whirlwind attacks and the fire of death special combos. 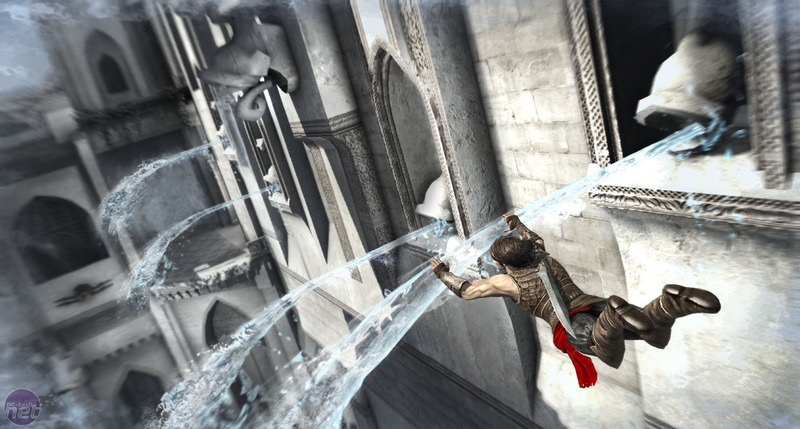 You won't get disappointed if you liked the earlier franchise of Prince of Persia. Now, coming to the cons, let's just say that the storyline disappoints. Bigtime. It's all very predictable, and sometimes looks like a lift from the earlier versions. Remember the 'Dahaka' of the Warrior Within? Here we have a very similar mega-monster called Rakash. Remember the princess of time? This time the prince's brother plays a very similar role. It seems that the Ubisoft scriptwriter guys have run short of ideas. And the worst part? The extremely constrained camera. There are many places where you would die for a better view of the obstacles and the game elements. The linear direction of the gameplay doesn't help either. 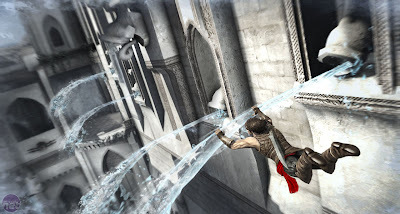 Truth be told, to a gamer who has never played the earlier Prince of Persia games, this one would seem a waste of both money and time. The game fails to stand successfully as a stand-alone. May be it would get better in the next sequel. But to those die hard fans of the PoP series, like me, the Forgotten Sands brings back all the action; this time served with chilled water. A must play piece for the Prince-worshippers, for sure. P.S. I liked the weathered serious prince but still want a sequel of the flirting jerk of the 2008 game of PoP. Elika deserves a sequel. Doesn't she? Reasons shall find their way to joy!